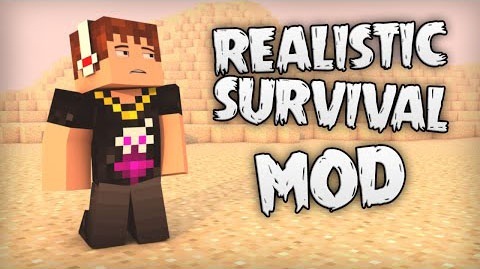 Realistic Survival Mod doesn’t allow you to punch down trees, make wooden tools, or hunt (easily) using anything except your fist, so it makes Minecraft much more realistic, hence the title. No more punching trees down! 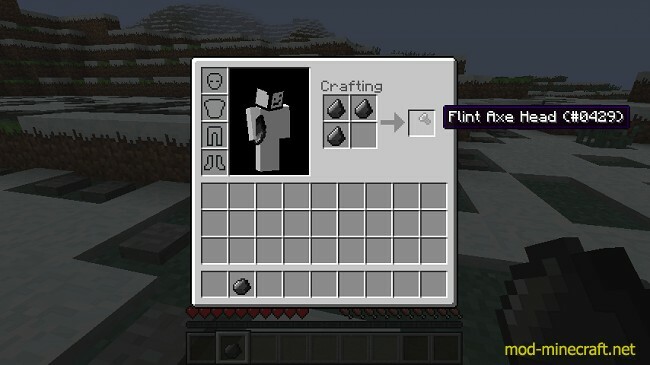 No more unrealistic wooden and stone tools! No more monster spawning (except from spawners)! A rock: Your first pickaxe! Animals now flee from the player, making hunting much more difficult! Run those cows off those cliffs! Basic thirst and energy system! Notes: This mod is NOT Forge compatible. 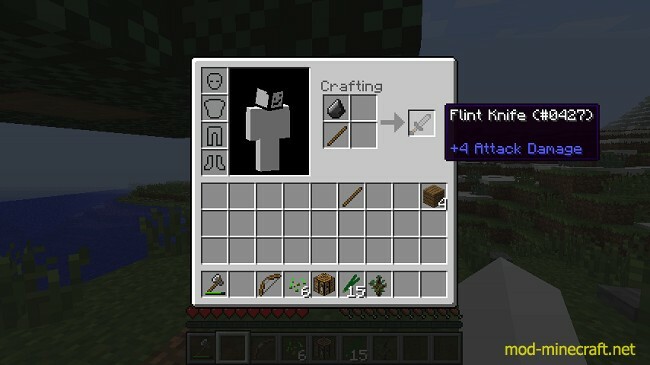 Do NOT install Forge alongside this mod, it will not work. 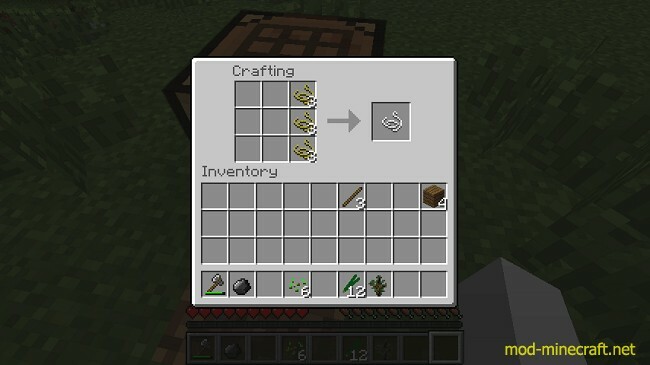 It’s (somewhat) easy to get started using this mod, break some leaves, collect some rocks, but here’s an actual tutorial. Once you’ve made your axe head, start breaking some tall grass to get cord. Collect 10 of it for now. Then collect some more rocks in order to get some stone and coal. You’ll want iron too, but right now you need to focus on getting hunger under control when it starts arriving. 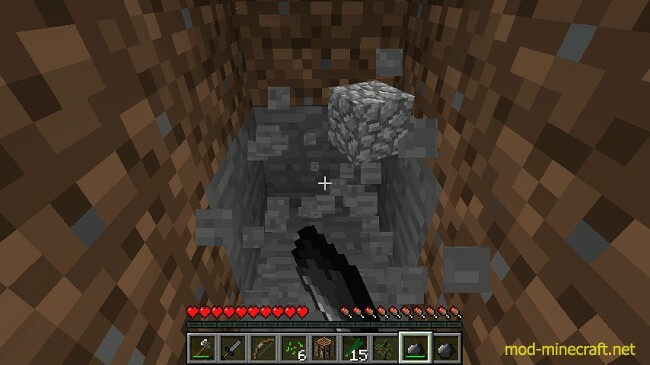 Gather enough stone for a furnace using your rocks, and then head back to the surface. Since you don’t have any arrows yet, you may want to consider using rocks as a ranged weapon for now. They deal enough damage to kill a chicken in one shot, which is what you need right now to make arrows. Go and hunt some animals for food! Once you get some iron, make a shovel so that you can collect some sand. You need to make a glass bottle so that you don’t dehydrate. Unfortunately, this is where the content ends right now. Believe me though, there will be much, much more to come. Firstly, you have three options: You can either install using MCPatcher, the helper, or you can install manually with just the patch zip. I suggest that you use MCPatcher, and I don’t offer official support for manual installs, so please use MCPatcher or the helper. Below video is for using the helper.